How will the turn in the credit cycle shape GCC credits? The GCC Summit returns to explore how global politics and trade tensions affect regional dynamics. Senior credit analysts will highlight the most exposed sovereigns, financial and corporate sectors as well as growth drivers for the year ahead. The summit brings together over 150 high profile investors, issuers and intermediaries. Be a part of the conversation. What does the shift in the credit cycle mean to the GCC? Can global debt issuers survive weaker growth and higher rates? Global politics, trade and financial stability: which regions are most exposed? How ready are GCC sovereigns for a turn in the credit cycle? Political and liquidity risk in the GCC: What could precipitate a sharp adjustment in credit profiles? Islamic Banking: What will drive growth in 2019? Dr. Monica Malik has over 20 years of experience as an Economist specializing in the MENA region.Monica currently holds the position of Chief Economist at Abu Dhabi Commercial Bank, where she established the Economic research team. Previously, Monica was the Chief Economist at EFG Hermes and was the lead person in the Economics team. Before EFG Hermes, she was the Senior Economist for the MENA region at Standard Chartered, Dubai and at Dun & Bradstreet, London. Monica has authored a number of academic books and articles on Economic Development in the GCC. She has presented at a number of high profile conferences and participated in policy round table discussions, as well as appearing regularly in the international media. 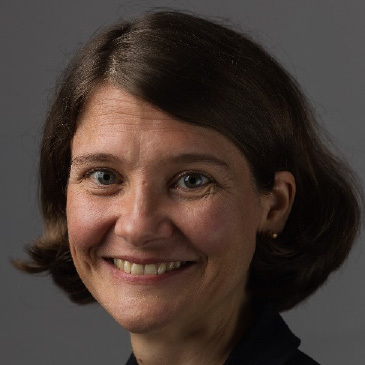 Monica holds a Ph.D. in Economic Development in the Middle East focusing on Private Sector Development in Saudi Arabia from the University of Durham. A leading authority in the field of Islamic Banking & Finance, Dr. Adnan Chilwan is widely seen as a driver of change and innovation and a key figure in the progression of this segment which is quickly evolving into a global phenomenon. With an extensive banking career spanning over two decades with both reputed conventional and Islamic banks in the region, he currently serves as the Group Chief Executive Officer of Dubai Islamic Bank, the world’s first Sharia compliant player and the largest Islamic Bank in UAE. With Group assets of in excess of USD 60bln, a market capitalization of nearly USD 9bln, and workforce of more than 8000 employees across a vast network of branches and entities in all emirates as well as the growing international operations in Asia, Middle East and Africa, he leads an organization which is fast being recognized as a formidable force in Islamic Finance and one of the most progressive institutions in the world today. Marie Diron heads the Sovereign Risk Group for Asia Pacific, the Middle East and Africa, responsible for analytical teams covering sovereigns and multilateral development banks in these regions.Marie has worked as Moody’s lead sovereign analyst for a number of Asia Pacific credits, including China, Hong Kong, Taiwan, India, Sri Lanka and Australia. 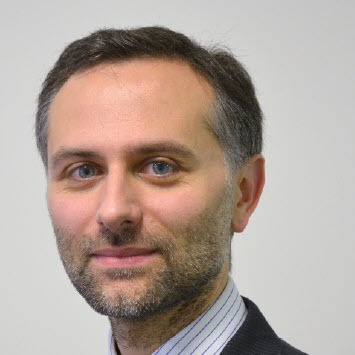 Alexander Perjéssy is Vice President – Senior Analyst at the Moody’s Sovereign Risk Group. Based in Dubai, he has lead analyst responsibilities for a number of sovereigns in the Middle East, including most of the Gulf Cooperation Council member states and several regional multilateral institutions. Jehad is Moody’s senior representative in the Middle East. His responsibilities encompass managing the Dubai Office (located in the DIFC), and overseeing and co-ordinating rating activities within the Middle East region. Jehad has around 20 years of banking experience which he gained in positions held both in the United Kingdom and Saudi Arabia. 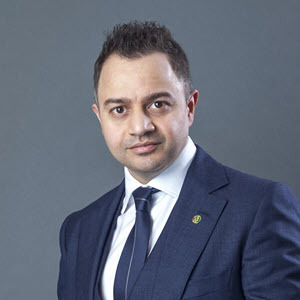 Prior to joining Moody’s in 2007, Jehad spent around nine years at Arab National Bank in Riyadh, with his most recent role being that of Deputy General Manager and Credit Controller. Jehad’s prior experience also includes three years at Arab Petroleum Investments Corporation (APICORP), also in Saudi Arabia, where he worked in the Projects and Trade Finance Department. 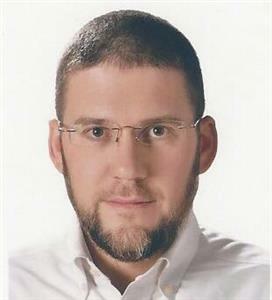 His first banking role was with Arab Bank plc, London Branch, where he spent around nine years.Jehad holds a Ph.D. in Numerical Analysis from Loughborough University in the United Kingdom. Nitish Bhojnagarwala is a Vice President – Senior Credit Officer with Moody’s Financial Institutions Group. Based in Dubai, Nitish covers a portfolio of large conventional as well as Islamic financial institutions in the Middle East, Africa and Turkey. 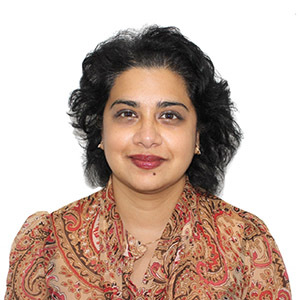 Nitish joined Moody’s in 2011, and has led sukuk roundtables and conducted workshops on Banking and Islamic finance at various conferences in the Middle East, Europe and Asia. Nitish has also authored several research pieces, with a focus on regional banking, credit issues and issuer-in-depths for conventional as well as Islamic banks. Prior to joining Moody’s, Nitish spent five years at Tamweel in the Treasury function. He has also worked for KPMG in the UAE, where he covered financial institutions. Nitish holds an MBA from S P Jain Institute of Management & Research, with a major in Finance (Investment Banking). David Staples is a Managing Director at Moody’s in the EMEA Corporate Finance Group based in Dubai. His responsibilities include managing the analytical teams that oversee the ratings of companies based in the Middle East, Turkey, South Africa as well as Russia and the CIS. David has a Masters degree from The Johns Hopkins School of Advanced International Studies in Washington, D.C. (1984) and a Bachelors degree from the University of Cincinnati (1982). 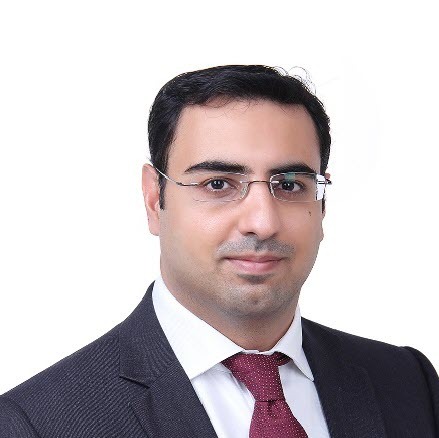 Rehan Akbar is a Vice President – Senior Analyst in Moody’s EMEA Corporate Finance Group based in Dubai. He covers a diversified portfolio including Oil & Gas, petrochemicals, transport and mining companies situated in the Middle East, Turkey and Africa. Prior to joining Moody’s in 2011, Rehan worked as a credit analyst at Mashreq Capital where he covered emerging market corporates. He started his career as a software engineer and technology consultant. Rehan has a Masters degree in Management Sciences and Engineering from Stanford University and a Bachelors degree in Computer Science from Lahore University of Management Sciences. He is a CFA charterholder. 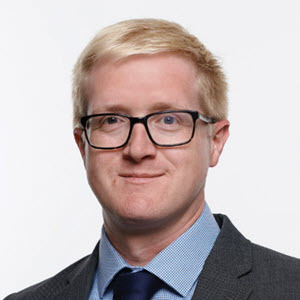 Henry MacNevin is currently an Associate Managing Director responsible for bank ratings in Italy and in several countries in Central and Eastern Europe, based in London. 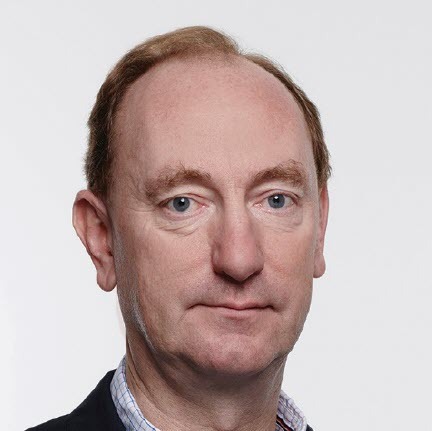 Mr MacNevin joined Moody’s London-based banking team in October 1996, since when he has followed banks as lead analyst, as well as in Italy, in the United Kingdom, the Nordic region, Belgium, Luxembourg and Hungary, and has also worked as backup analyst for other banking systems, principally in Europe. 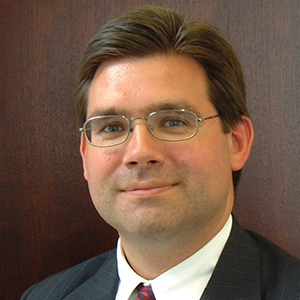 Mr. MacNevin’s previous banking experience includes seven years with the Barclays group, where he held positions in strategic planning, corporate banking, and credit risk management. Mr. MacNevin earned a B.A. (Hons) in Business Studies from Portsmouth Polytechnic in the United Kingdom. 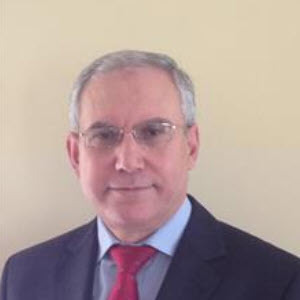 Ashraf Madani is a Vice President – Senior Analyst with Moody’s Financial Institutions Group. Based in Dubai, Ashraf covers a portfolio of large conventional as well as Islamic financial institutions in GCC. He is also responsible for the Saudi and Bahrain Banking system outlooks. Since Joining Moody’s in May 2017, Ashraf has authored many research pieces focusing on GCC credit, funding and liquidity conditions in addition to issuer in depth research. 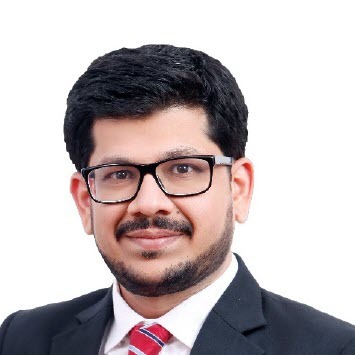 Before Joining Moody’s in May 2017, Ashraf’s Career has been mostly in banking with 15+ years of experience working in international and regional banks like Citi, Arab Bank and First Abu Dhabi Bank. He spent most of his banking career working in the global markets and risk divisions where he developed extensive knowledge on GCC markets. His last position before joining Moody’s has been the Head of FIs and NBFIs Risk for National Bank of Abu Dhabi (FAB now) managing the credit risk for a large portfolio of GCC and international issuers. Mohammed Ali Londe is an Assistant Vice President – Analyst within Moody’s Insurance Group, based in Dubai. He is responsible for Moody’s insurance ratings in the Middle East. 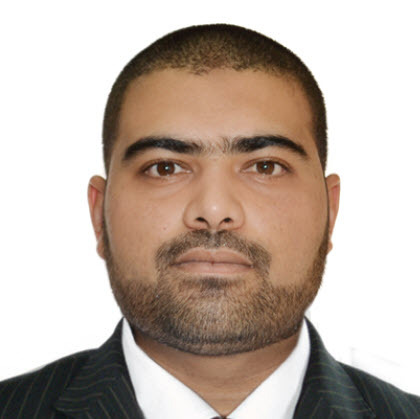 Prior to joining Moody’s in 2013, Mohammed worked in the Planning and Performance Management department of Zurich International Middle East. 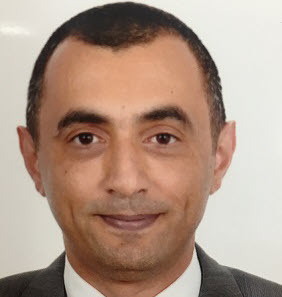 Mohammed’s past experience also includes working with Chartis Middle East (AIG) and as an auditor within the insurance department of Deloitte Bermuda where along with performing numerous insurance and reinsurance audits, he was seconded to work with Endurance Specialty Insurance Ltd. Mohammed Ali holds a BSc from Oxford Brookes University, UK. 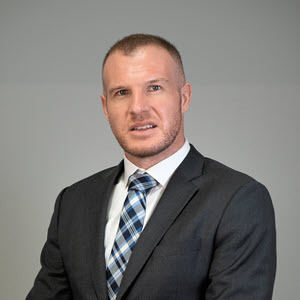 Dion is responsible for South African and Turkey based corporates covering a diverse range of sectors which includes REIT’s, Telecoms, Transportation/Logistics, Diversified Conglomerates and Investment Holding Companies. 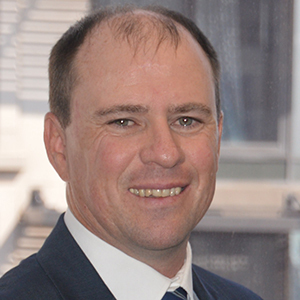 Previously, he was responsible for rating South African and European RMBS securitisation transactions. Dion graduated from the University of Pietermaritzburg, Kwa-Zulu Natal and holds a Bachelor of Commerce degree with Honours in Economics. He is also a qualified Chartered Financial Analyst. Douglas covers non-financial corporates for Moody’s in the Middle East and Africa with a specific focus on mining, oil and gas along with telecommunications services and infrastructure providers. Douglas holds an Advanced Master of Commerce Degree Specialising in Finance in the field of Financial Management from the University of Cape Town and is CFA Level III candidate. Mario Santangelo is an Associate Managing Director in the Corporate Finance Group at Moody’s Investors Service. He is responsible for corporate ratings assigned to issuers in the Middle East and Africa and related credit research. His coverage spans across industries including Mining, Oil & Gas, Telecom and Real Estate. 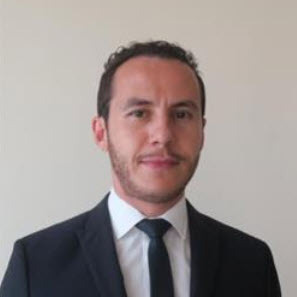 Mario manages a team of senior analysts based in Dubai.Mario has been with Moody’s since 2014, prior to moving to Dubai he was based in London where he was the head of Moody’s European Real Estate team. Mario has extensive experience in a number of other sectors including transportation (shipping and airlines) and leisure as well as leveraged buy outs. Prior to joining Moody’s, Mario worked for 13 years at Goldman Sachs where he was an Executive Director and a senior credit officer. 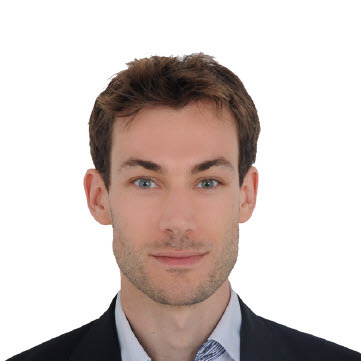 Thomas Le Guay is an Analyst in Moody’s EMEA Corporate Finance Group based in Dubai. He covers a diversified portfolio including regulated utilities, oilfield services, and consumer products companies situated in the Middle East and Turkey. Thomas joined Moody’s Paris office in 2013 and relocated to Dubai in 2017. Thomas is a CFA charterholder and holds a master’s degree in financial analysis from the University of San Francisco. Lahlou Meksaoui is an Assistant Vice President – Analyst with Moody’s EMEA Corporate Finance Group based in Dubai. He is responsible for a diversified portfolio including real estate, packaged goods, retail and construction companies across the Middle East and South Africa. Lahlou joined Moody’s in 2017 from HSBC where he held an Associate Director position in the Corporate Finance Advisory team. Lahlou holds a Master in Finance and Strategy from the Institut d’Etudes Politiques de Paris (Sciences Po Paris). For more information please contact Christopher.deRidder@moodys.com.